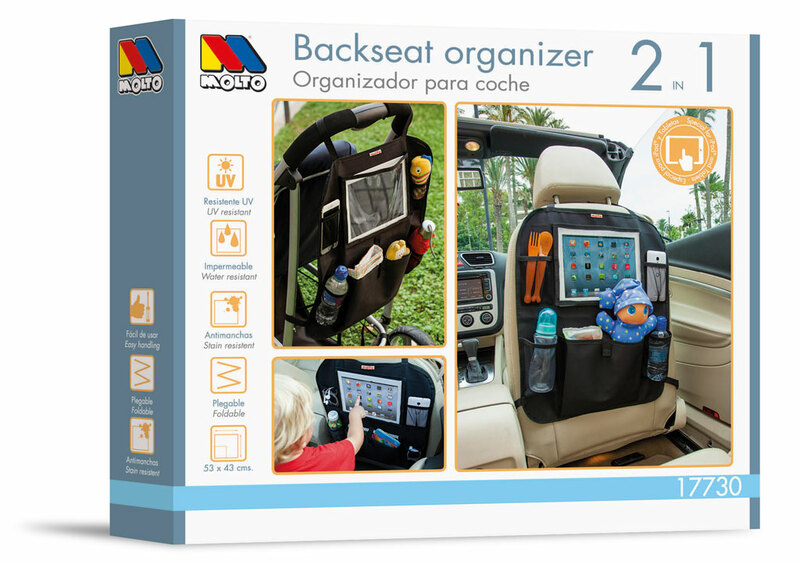 Backseat car organizer to have all the things you need on hand while traveling with your baby by car. 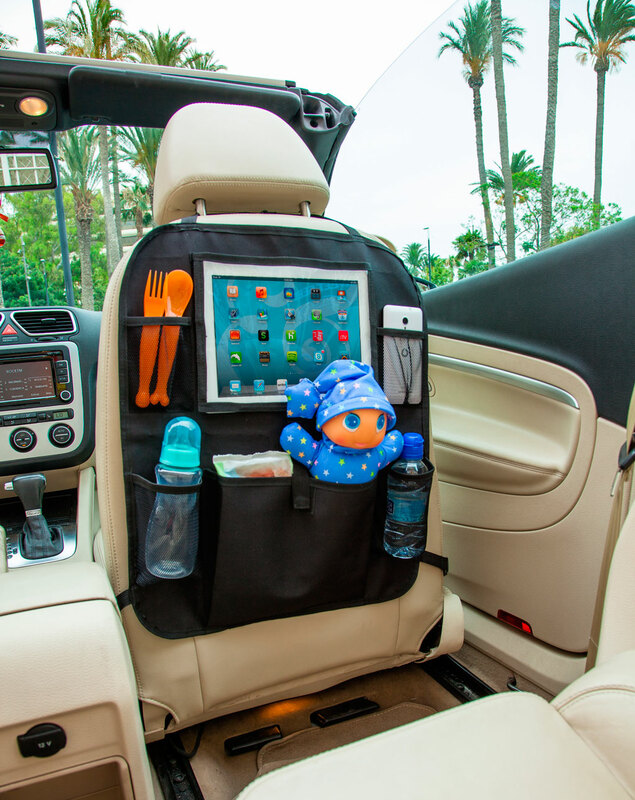 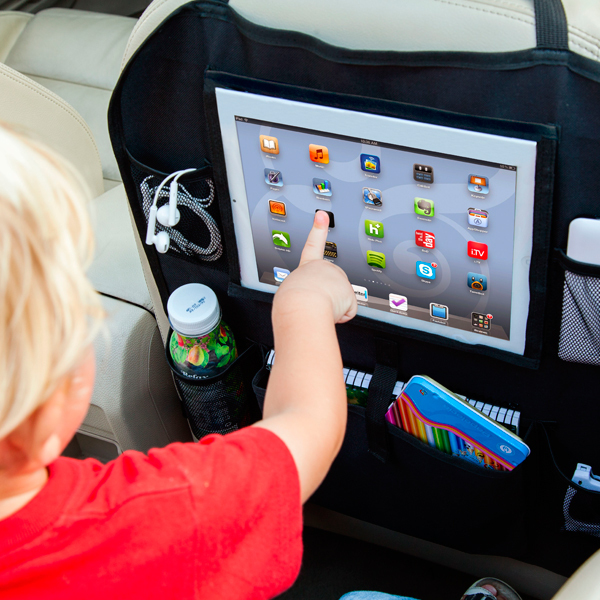 It is also 2 in 1 since you can take it both in your car and in your stroller. 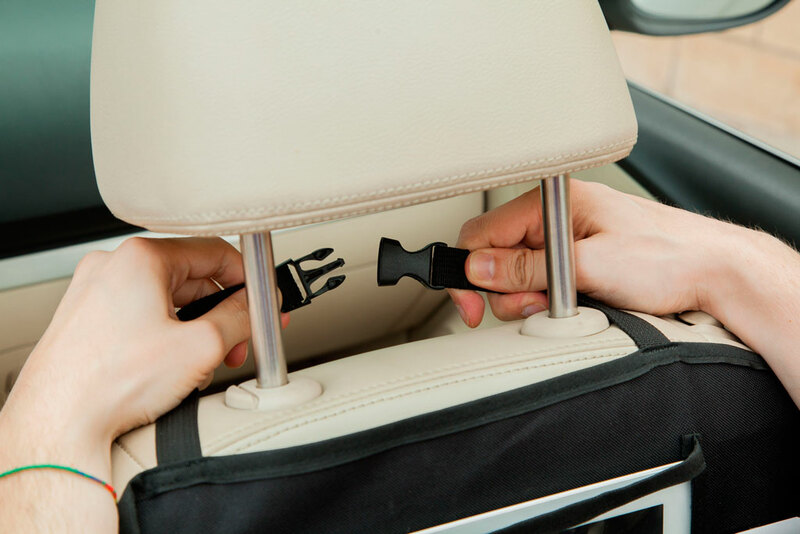 Universal system fits most seat backs. 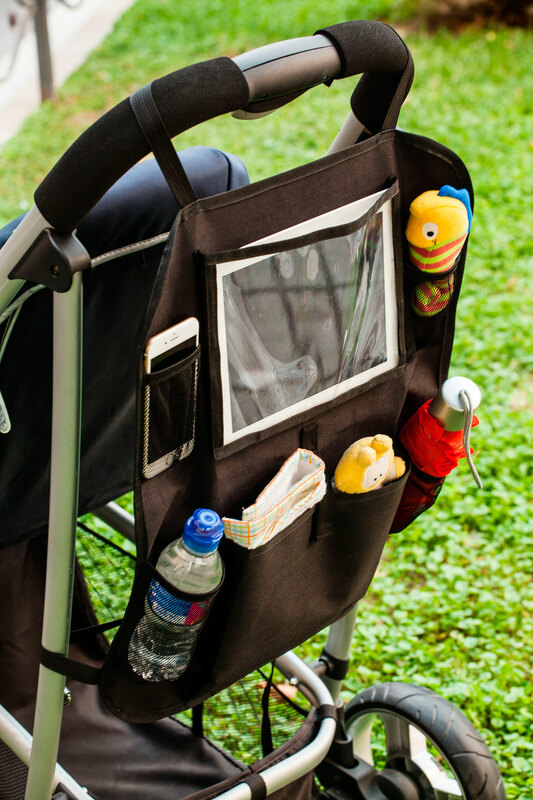 Easy to install with adjustable straps and buckles.